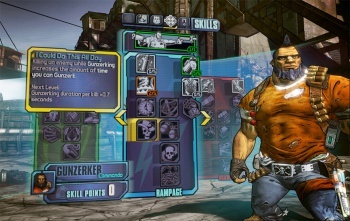 The maker of Borderlands and Duke Nukem Forever doesn't want to use "gimmicks" in his games. There's been a lot of talk this year about the so-called next generation of videogaming consoles. Nintendo will be first out of the block with the Wii U, still expected this holiday season, but it's an open secret Microsoft and Sony are also developing their own high-end consoles. Randy Pitchford, CEO of Gearbox Games, said in a recent interview with Gamasutra that his company is kinda sorta maybe working on projects for the new consoles, but - in a thinly-veiled knock on the Wii U gamepad - won't use features or controls he believes won't have staying power. "We've got a few things going on right now that we haven't talked about but that'll appear later," Pitchford said. "I'm always excited by movement forward. Some of that comes from iteration with our software, and some of it comes from iteration with hardware, and some of it comes from invention." Innovation is good, but not everything is a hit. "Different people make different stabs. Some of these stabs folks make become standards. Most of the time they're temporary gimmicks," Pitchford said. "I don't like getting behind gimmicks. I tend to like the things that feel like they can become standards, or steps towards standards." Motion control might have had some staying power - Gearbox made one Wii game - but Pitchford's not sure about the other systems out there. Pitchford notes that his company had no games that are "Better with Kinect." "You haven't seen Gearbox do a Kinect - either a game or a feature - that is just taking motion control and mapping it to what could've been better done with a button or a joystick movement," he said before acknowledging his team just hasn't been able to make it work. "That's not to say that we haven't thought about how you could use what the Kinect does, because it's really awesome." Many gamers are anticipating Borderlands 2 from Gearbox, dropping in September, but we're still reeling from the disaster that was Duke Nukem Forever. I wonder what projects Pitchford is cooking up for the next generation and if he will avoid the Wii U altogether to focus on the consoles from Microsoft and Sony.